Further follow-up should help to clarify the safety and benefits of OFS for late breast cancer OS. 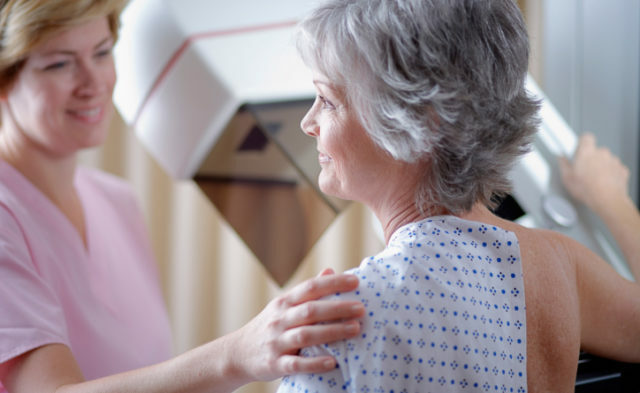 Patients who did not receive chemotherapy had a low risk of distant metastasis at 8 years, even with tamoxifen alone, added Gini Fleming, MD, of the International Breast Cancer Study Group. For the phase 3 SOFT trial (ClinicalTrials.gov Identifier: NCT00066690), researchers randomly assigned premenopausal patients to receive 5 years of T (1018 patients), T + OFS (1015 patients), or exemestane (E) + OFS (1014 patients). The DFS for patients assigned to T + OFS was superior to T (hazard ratio [HR], 0.76; 95% CI: 0.62-0.93; P = .009); 8-year DFS was 83.2% vs 78.9%, respectively. For patients who received prior chemotherapy, the 8-year DFS rate was 76.7% with T + OFS vs 71.4% with T; for patients who received no prior chemotherapy, the 8-year DFS rate was 90.6% vs 87.4%, respectively. “The no-chemo cohort remains at low risk of distant recurrence with T alone; 12 of 24 deaths were in the setting of no distant recurrence,” Dr Fleming said. There was a small overall survival benefit seen with T + OFS vs T (8-year OS, 93.3% vs 91.5%, respectively). Toxicity was more severe for women receiving T + OFS than with T (grade 3 or worse adverse events, 32% vs 25%, respectively). Early tamoxifen cessation was reported for 19% of patients in the T + OFS group and 22% of those in the T group. Further follow-up should help to clarify the safety and benefits of OFS for late breast cancer OS, Dr Fleming said. Fleming G, Francis PA, Láng I, et al. Randomized comparison of adjuvant tamoxifen (T) plus ovarian function suppression (OFS) versus tamoxifen in premenopausal women with hormone receptor-positive (HR+) early breast cancer (BC): update of the SOFT trial. Oral presentation at: 2017 San Antonio Breast Cancer Symposium; December 5-9, 2017; San Antonio, TX.